Coming minutes after the 8GB iPhone 5c launched in the UK, Apple on Tuesday officially discontinued the iPad 2, replacing the long-standing entry-level tablet with a 16GB version of the fourth-generation iPad. 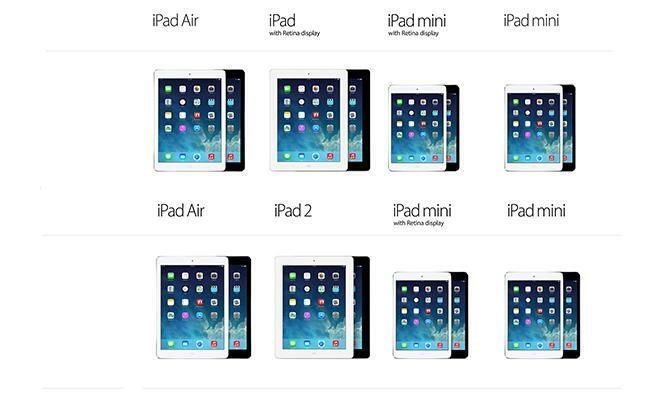 The iPad with Retina display (4th gen iPad) replaces the iPad 2 on Apple's "Compare iPad Models" webpage. As expected, Apple has finally replaced the venerable iPad 2 with a 16GB version of the fourth-generation iPad, which is now being sold for a starting price of $399 through the Online Apple Store. AppleInsider was first to report on the iPad 2 ramp-down in February. The change comes after the iPad 2 served for some two years as Apple's entry-level tablet offering after the company introduced the Retina display-packing third-generation tablet and follow-up fourth-generation device. As of this writing, the swap is quickly rippling through Apple's global websites. Interestingly, by reintroducing the fourth-gen iPad, Apple leaves the first-generation iPad mini as the only non-Retina iOS device in circulation. Also, with the departure of the iPad 2, so goes the second to last product to use Apple's last-generation 30-pin adapter. Aside from the iPhone 4S, which may soon be replaced by the new 8GB iPhone 5c, all current iOS products sport the newer Lightning protocol. At $399 for Wi-Fi only and $529 for Wi-Fi + Cellular, the fourth-gen iPad is $100 cheaper than the iPad Air and the same price as the iPad mini with Retina display. Both models are available in the usual black and white color schemes.